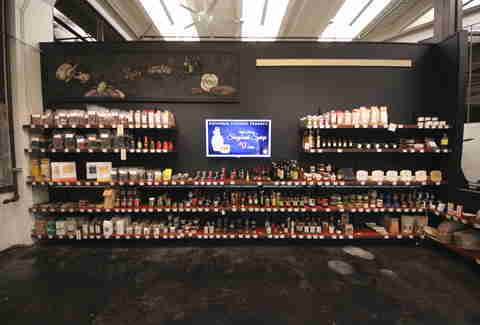 After years of slinging high-end grub online, as opposed to, say, simply apportioning it from each according to his abilities to each according to his needs like you might expect, the dude behind gourmet grocery Marx Foods has turned a portion of their HQ into an actual shop where you can get stuff you usually only find in restaurants (except for someone to cook it for you, 'cause that's totally bourgeois). 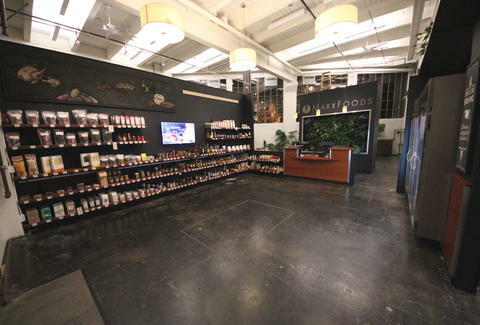 The food "showroom" boasts a pantry that stocks highlights from their web-shop, or sweet stuff that isn't practical to sell online, like some inexpensive hot sauce from Oregon, or what people who follow the And1 tour already call The Professor. And, like Ray Allen before he sold out to that team in that city that totally deserves a basketball team because of its passionate fan base, he got game... meats (elk, venison, bison, boar, etc. 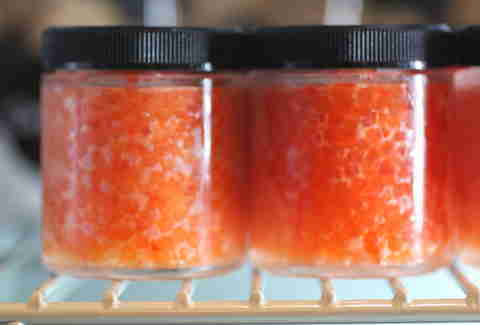 ), fowl (quail, pheasant), and even more exotic proteins like kangaroo and salmon roe. 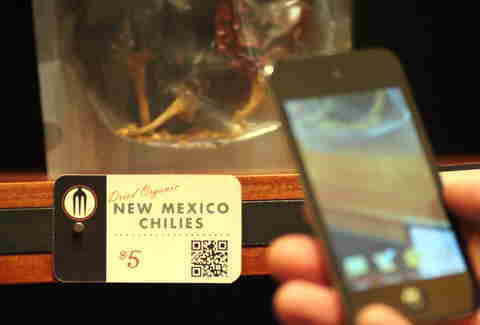 Besides some seriously expert employees, there're QR codes for every item/food category, iPads linked to online recipes/info on the shelves, and other technology which, depending on which Marx you listen too, invariably leads to alienation/a badass shopping experience.